From an early age, both me and my twin brother always wanted to make our own video game and have it released. It almost actually happened but unfortunately the stars didn’t align for us. In the end the whole experience put us off working together for most of our young adult lives. Here’s our story. When we were teenagers we were offered a publishing deal for an Amiga game we were working on. It was a dream come true and we genuinely thought big things were on the horizon. However, having to stay on top of university work and also finding time to make a game proved somewhat tricky. It ended up taking two years to finish the project and by that time Commodore had gone bust and the Amiga games market was on its knees. Consoles started to dominate in the UK and it no longer made any financial sense for the publisher to release our game. They dropped the bombshell a few days after I delivered the master copy to them. Needless to say we were both devastated and saw it as a huge personal failure. It felt like a crushing blow knowing that there would be no reward for all our late nights and sacrificed weekends. We’d given up almost every moment of our free time just to get the project over the line. We were physically and emotionally spent. I remember spiralling into a depression that left me with a huge amount of self doubt about my own abilities as a developer. The years passed but the pain of the whole experience didn’t seem to fade for either of us. We both spent the immediate years afterwards focussing only on the negatives from the project. We blamed ourselves when the reality was that even the best Amiga game in the world probably wouldn’t have gotten released that late in the day. Perhaps being twins in this instance didn’t help. It almost felt like we were both feeding off each other’s negativity, caught in an endless feedback loop. Who knows. Although we both ended up working in the games industry after graduating, we never again dared make another game together. In fact, we very rarely even spoke about our game, preferring instead to pretend that the whole thing never happened. On the few occasions that we did manage to talk about it we only seemed to focus on the negatives and that only served to erode our confidence further. We never really stopped to think that those negatives were actually things we could learn from. Mistakes that could easily be rectified in future projects. I’ll be perfectly honest. We did make mistakes during the development of our game. Lots of them. Some technical. Others related to game design. But there were also a huge number of things we did right. In fact, many of those things were quite innovative for the day. For example, we made heavy use of rotoscoping, where we imported video footage of ourselves before drawing over it frame-by-frame to create the final artwork and animation. Our game was also one of the first where the body of each enemy soldier would remain in the background after being killed rather than simply disappearing into thin air. In fact there were lots of cool things to be proud of for two kids just out of high school. It’s just a shame we chose to ignore those positives. In fact, it has taken us almost twenty years to really get over it. To look at it from a different perspective and really embrace it for the amazing learning experience it actually was. About a year and half ago my brother announced that he didn’t want to live his life knowing that he hadn’t at least tried to make one more game. He’d gotten married, had a kid, held down a good 3D modelling job, and for almost a whole decade had more-or-less forgotten about our game. But something had started to gnaw away at him. He felt there was some unfinished business. Something he had to put right. We had a chat about it and it became apparent that we’d learned so much over the years since completing our game. I’d grown immeasurable as a developer, was a manager and team lead, and had even published a book. My brother had gone on to work on several award winning kids games and television commercials, and was a highly skilled 3D modeller and animator. For the first time ever we talked in depth about our game and why it didn’t work out. We acknowledged that we’d learned so much since then and that there were factors outside our control that really prevented the game from being released. Basically once we got it all off our chests we were pretty cool about what happened. It was really something we should have done a very long time ago. So why am I telling you all this? Well something wonderful happened the other day. Something completely out of the blue. A friend sent me a link to a YouTube video. To my amazement it was a video recording of a level from our old game running on an emulator. It was something I hadn’t seen in a very long time. In fact, it was something I’d deliberately tried to avoid in the past. Of course it all looked terribly clumsy by today’s standards, but there was a spirit captured in the game’s rotoscoped images that I hadn’t noticed before. I was looking at a digital version of my younger self, running around dressed as a soldier; shooting at the screen and enthusiastically falling over when hit. There was an energy there. A real passion for what I was doing. Something that I’d let go of due to one bad experience. I don’t want others to make the same mistakes me and my bro made. We could have and should have spent the last few decades churning out all sorts of cool and amazing games together. Looking back – although we never admitted it to each other – I think we both felt like failures and the thought of failing again was simply too much to bear. When I look at what we’ve both achieved individually in our professional careers, it saddens me that we couldn’t shake off our previous bad experience and go on to work together on new game ideas. After all, we’ve had plenty of them over the years. So if you’re making your first indie game and things aren’t going how you hoped then don’t give up. While it’s certainly easier to get your game out there these days it’s a completely saturated market and making a living from it isn’t going to be easy. Try to set yourself realistic expectations. 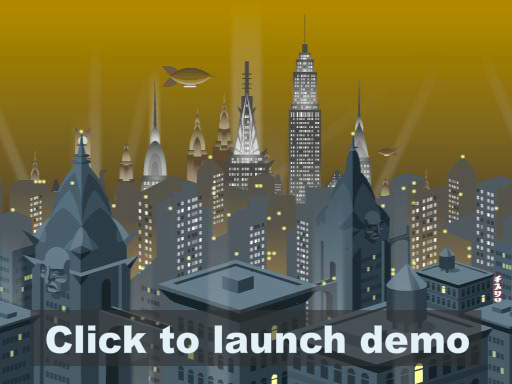 It’s unlikely your first game will make you rich or storm to the top of charts. Instead, think of it as the beginning of a fantastic journey. Learn from your mistakes and make your next game even better. Take the positives from everything and most importantly of all, don’t be afraid to fail. I wish someone had given me that advice all those years ago. So how’s my brother getting on with his indie game? Has he finished it? Well not quite but he’s almost there. He’s been working on it with a determination and passion that I haven’t seen in him since we were teenagers. He’s even taken the game on the road with him: touring the many indie game expos throughout the country and getting valuable feedback. I’ve even found the time over the past few months to help out and I must admit it’s been great working with him again. In many ways it feels like we’d never stopped, and it makes me wonder all the more why we let such a good thing go to waste for so long. To date, the response towards my brother’s game has been extremely encouraging. Of course, he’d love for it to be a financial success, but right now he’s being realistic. His primary goal is to create a game he can be proud of and that people will enjoy playing. From the significant time I’ve spent playing it, I firmly believe he’s going to achieve that. 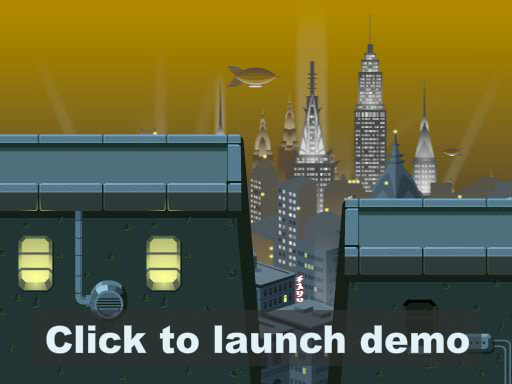 You can follow the development of his game, Dare the Monkey, on his own personal development blog. Also please follow him on Twitter at @darethemonkey. I know he’d really appreciate your support. It’s been good fun working on this and hopefully you guys will enjoy the final two parts that will be available soon. Recently I had the pleasure of spending the day with George Berkowski, the founder of IceCream and author of How to Build a Billion Dollar App. Most of the time was spent discussing app design and, in particular, what features would make first release for the latest app the team was working on. At some point the term “minimum viable product” (MVP) started getting banded around as we struggled to decide which features to keep and which to drop. George however was very quick to interrupt. In his experience it was a dangerous term to be using and would only foster a mindset that would inevitably result in the production of a very poor product. Instead, George insisted on the team thinking in terms of a “minimum lovable product” (MLP): What were the minimum features required for first release to make users fall in love with our product? I’ll be honest, I’d never heard of the phrase “minimum lovable product” before but it really struck a chord with me. George was right. Almost all of us had worked on projects in the past where MVP had been the mantra. In fact, I’ve worked on several projects in the past where management even moved away from the term MVP and instead started asking for “the thinnest mint”. All of these projects started life as very good ideas but ended up being stripped of almost everything that would make them engaging or fun for the users. I’ve seen amazingly talented people become completely demotivated churning out MVP after MVP, knowing that what they were being asked to deliver was never going to resonate with the end user. Many of you may ask, isn’t MVP and MLP the same thing? I guess in many ways it is, but more often than not, people take Minimum too literally and end up sacrificing the design and scope of a product. Software development can be challenging. There are delivery deadlines and budget constraints to meet. For small development studios this ultimately means that it’s not going to be possible to deliver every feature they’d like for first release. But rather than build something a large number of users might like, it’s much better to build something that a small number of users will love. An MLP is more likely to gain a following and generate enough revenue to help you grow the product over time. From my own experience, an MVP almost never will. It was really great working with George and I learned a lot from him. If you’ve got the time, spend some time watching the video from his TEDx talk above. I think you’ll learn something too. Also, if you’d like to know more about MLP then take a read of this article. The nice folk at Packt publishing sent me over a couple of iOS books recently to have a look over so I thought I’d write a review of each one for you guys. 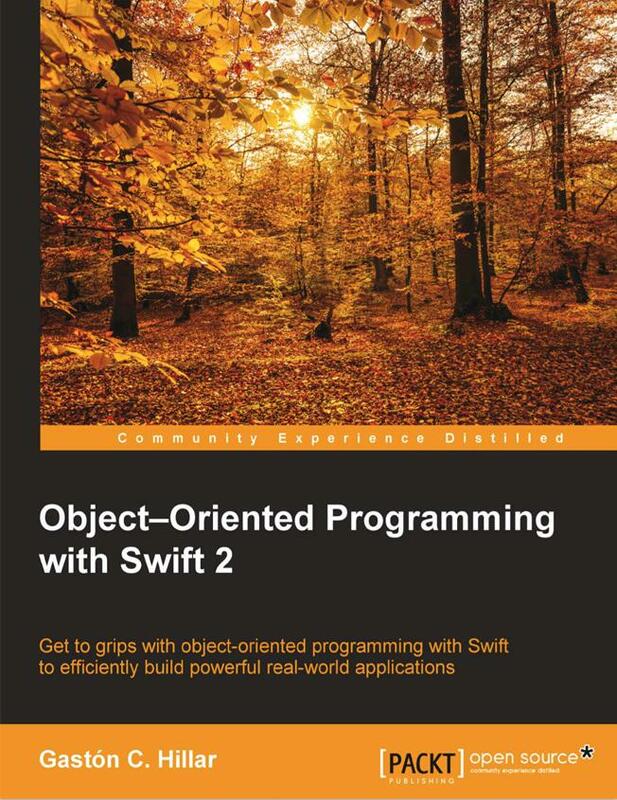 Today I’ll cover the first of the two books that I read: Object-Oriented Programming with Swift 2 by Gaston C Hillar. The book isn’t aimed at newcomers to programming. You’ll need to know at least one other object-oriented language in order to get the most from it. That can be just about any language such as Objective-C, C++, Java, or ActionScript. Oddly however, Gaston does spend a decent amount of time explaining the basic principles and concepts of object-oriented programming, which most developers will already know. However, for reasons of completeness, it’s probably a necessary step. As for the quality of the material, it’s mostly excellent. The majority of the chapters will have you using the Xcode Playground to work with code rather than muddy the water by having you try to write an actual app. The Playground is an ideal way to learn and will ensure that you are focussed on the Swift language at this point. Everything you’d expect the author to cover is there plus a little bit more. One of the later chapters delves into Swift’s functional programming features, while the final chapter has you build a very simple native app to help introduce you to iOS development with Xcode. There was also a very good chapter covering generics and the book also does a good job of explaining protocols to those who aren’t familiar with them. While I’d already consider myself more than comfortable with Swift I did pick up the occasional trick or two from the author. If you’re already an experienced Objective-C programmer and you want to learn Swift then this book is ideal. It’s also perfect for most people who know another object-oriented programming language and want to familiarise themselves with Swift. While it’s certainly not as comprehensive as Apple’s own Swift 2 Language Guide, Object-Oriented Programming with Swift 2 does provide some focus allowing most developers to get to grips with the majority of the language relatively quickly. A well written and enjoyable book.